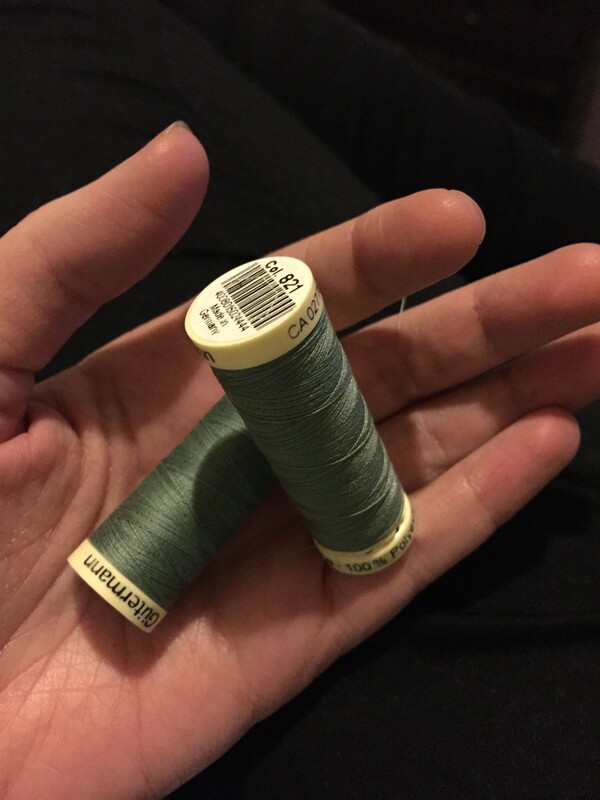 tops | More blue fabric? There’s something incredibly snuggly about sweatshirt material. I think it’s probably something to do with the way that it looks like it’s been constructed from hundreds of teddy bears to give it the ultimate comf factor. When you get that comfiness and put it into something that can be worn for work as a cover up for smart dresses without looking slobby, well then you’re on to a winner! 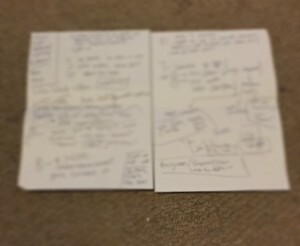 I’ve had this for about two months now [let’s not look at my making to blogging time lag in too much detail….] and I can confirm that it is fab and gets worn with pretty much everything. In fact, I’m wearing it right now as I type this (and I have the picture to prove it!). A super comfy sweatshirt jersey from Guthrie & Ghani. I had my eye on it for ages and then found a metre in the remnants bin; just enough for an Astoria. It’s like it was meant to be! I’m not entirely sure I had the fabric rotated the right way… Which isn’t exactly a bad thing per se, it’s more just that I found myself getting confused! 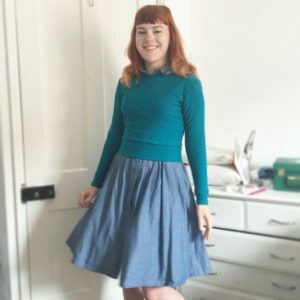 It does make a great throw over for dresses due to the crop of the sweater… I think if I could find a comfy grey I probably would (I truly love a grey jumper) but otherwise as much as I love it I might be exhausting the number of Astoria’s I can get away with! 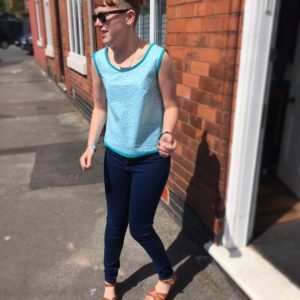 One of the very first patterns that I found when I started sewing was the Colette Sorbetto. It’s a free to download top and I thought “well that’ll come in handy”. Two years later, I was looking for something quick and easy to sew up for a weekend during Me Made May. Turns out, the Sorbetto was very handy! The fabric is the remnants of the super lovely elephant fabric that the boy bought me back when I started sewing and some bias binding I had that by complete fluke was exactly the right shade of blue. 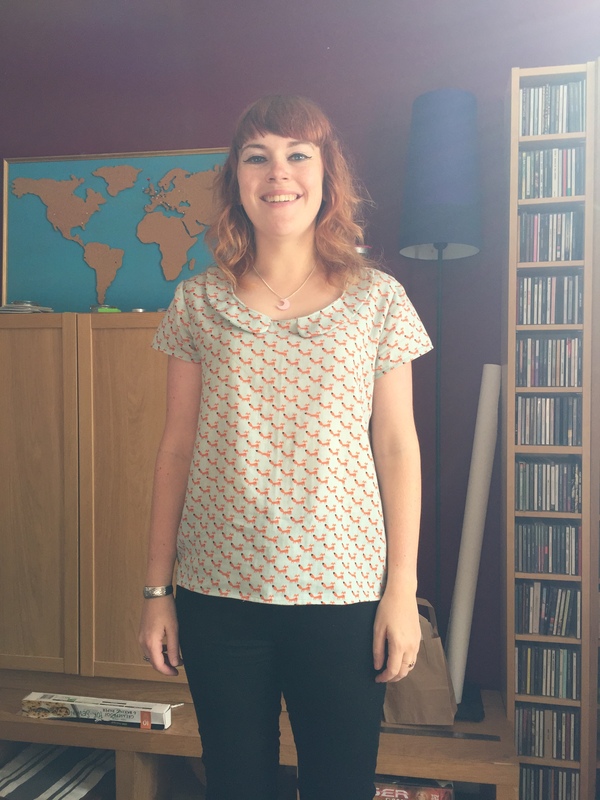 It was so quick and easy to sew and a great way to use up a bit of fabric that I really didn’t want to get rid of. Ummm…… honestly? Pretty much nothing. 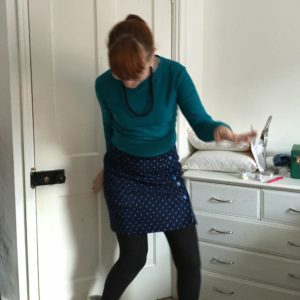 Yup, I’ve got a couple of leftovers that would make great tops and, as if they knew, Colette have just run a week of different hacks on the pattern. They’ve got a knit one, a dress one (although I probably will keep the neckline on the original) and a modernised one. I’m going to end up with one for every day of the week at this rate! 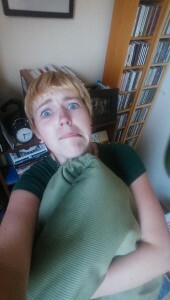 MANY moons ago I measured up my sofa to make a new sofa cover and bought a load of fabric to make the sofa cover. This is what I looked like when I’d just bought all the fabric. To give you an idea of how long ago it was, this wasn’t taken in our old flat, it was taken in my old flat (i.e. over two years ago….). 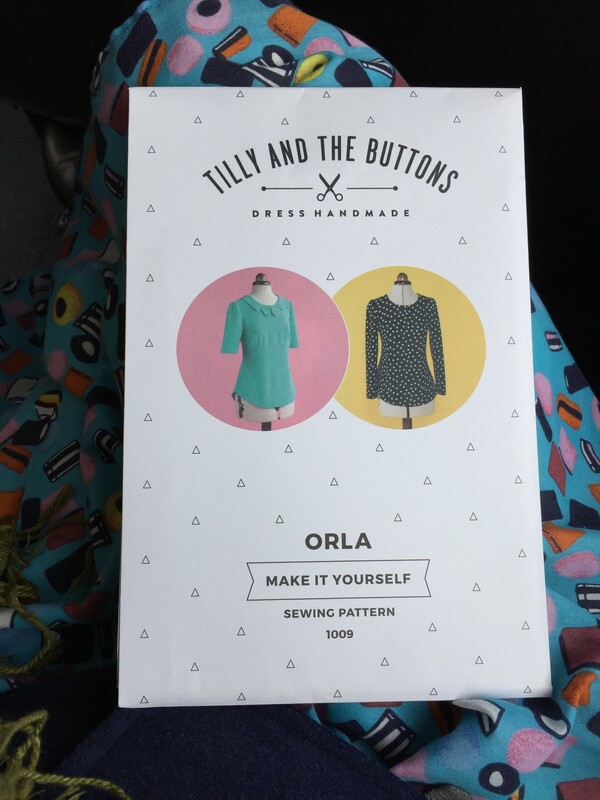 I fell in love with Orla pretty much as soon as Tilly published it, and I’m pretty convinced it’s going to be perfect for some gorgeous Nani Iro double guaze I picked up in Japan over the summer. In a strange move for me, I’m going to make a muslin this time around.as I’m terrified about cutting into the fabric and want to make sure I have it absolutely right before I make the first scary cut. I had a planning brunch about this today. All I can say about this is it’s very secret, I’m excited about making it, and think it will be pretty darned amazing if I manage to pull it off! So these are a bit different. A local group has been collecting a whole heap of items to send to those needing aid in Calais, Kos, Lesbos and Syria. Rather than just send the toiletries in huge boxes, they decided to make them into individual packs, each in a reusable drawstring bag containing a message of hope and peace. I volunteered to help make some of the bags, so this afternoon went along to take those I’d made so far and sew up another batch of 14 over the course of a couple of hours. 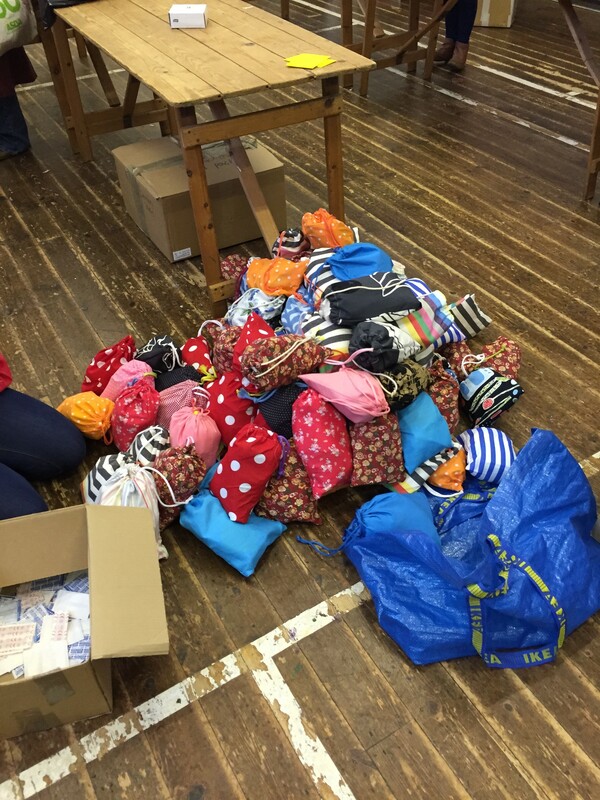 Whilst we were sewing, other people were filling those bags already made and it was amazing at the end of the session to see just how generous people had been with their time and their resources (253 are being sent off this week! ).